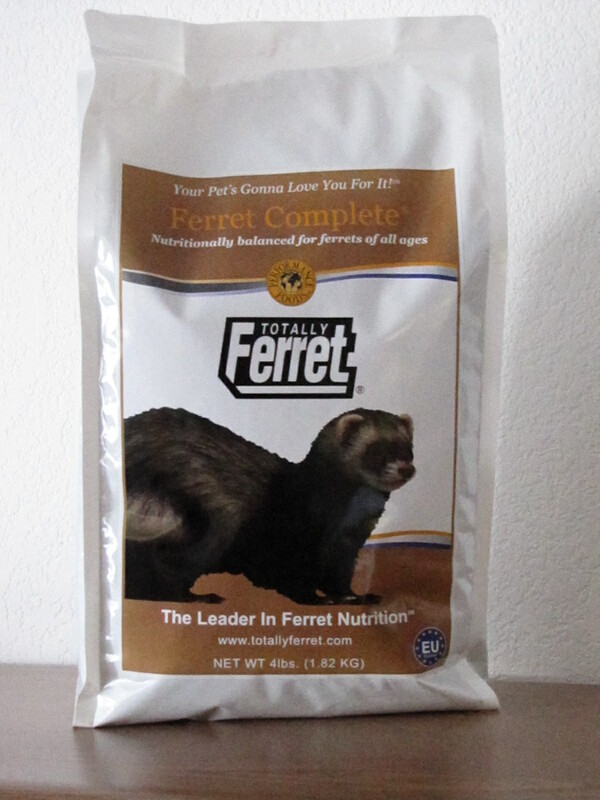 A great value diet with all of the same high quality ingredients of all Totally Ferret formulas. Formula contains over 85% of all natural animal proteins from 6 high quality animal protein sources. 100% nutritionally complete and balanced. Great for ferrets of all ages. Ingredients: Chicken meal, Wheat flour, Corn meal, Chicken fat (preserved with mixed tocopherols, a natural source of vitamin E), Brown rice, Cooked Potatoes, Dried Egg product, Catfish Meal, Chicken Liver Meal, Rice Flour, Dried Brewers yeast, Whole Ground Flax Seed, Tomato pomace, Dried Beet Pulp, Menhaden Fish oil (preserved with mixed tocopherols, a natural source of vitamn E), vitamins and minerals. 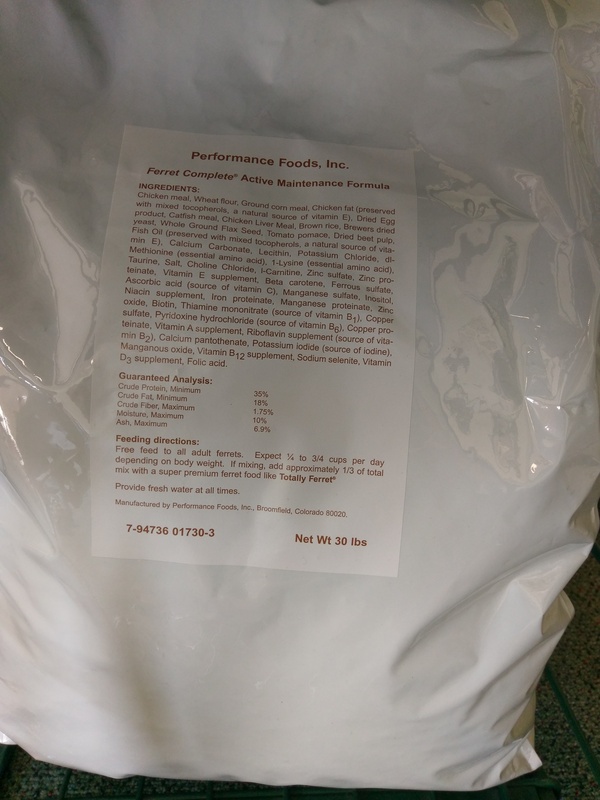 Guaranteed Analysis: Crude Protein Minimum 35%, Crude Fat Minimum 18%, Crude Fiber Maximum 2%, Moisture Maximum 10%, Lysine Minimum 2%, Methionine Minimim 0.80%, Taurine Minimim 0.25%, Carnitine Minimim 90 ppm*, Omega 6 fatty acids Minimum 3.6%*, Omega 3 fatty acids Minimum o.50%, Lycopene Minimum 1.75ppm*. *Not recognized as an essential nutrient by the AAFCO pet food nutrient profiles.